Under state and federal law, employees have certain rights and protections with respect to medical leave and leaves of absence. The Family Medical Leave Act (FMLA) and the California Family Rights Act (CFRA) prevent employers from firing an employee for exercising his or her rights under FMLA or CFRA, respectively. In general, an employee can take leaves of absence for up to 12 weeks for serious health conditions or to bond with a child. Employers who employ 50 or more employees must follow the requirements of the FMLA and CFRA. In order to be eligible for leave an employee must be employed by their employer for at least 12 months, and must have worked at least 1250 hours during the preceding 12 months. When taking leave, employees are required to submit necessary paperwork and documentation, including appropriate medical certifications, and request leave in a timely manner. California law requires that most employees be allowed to return to his or her same job after a leaves of absence. If an employee’s job has been eliminated or changed, he or she must be offered a similar job or one that offers comparable pay, development opportunities, and involves similar duties. However, if an employer can prove that an employee would have been laid off or that a comparable job isn’t available, the employee doesn’t have a right to return to work. 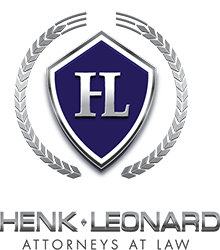 If you believe that your employer (or former employer) failed to grant you a needed medical leave or retaliated against you for taking a needed medical leave of absence, contact Henk Leonard for us to do a free evaluation of your situation to see if we can assist you in a claim against your employer. An employee disabled by pregnancy is entitled to up to four months disability leave. Leave can be taken before or after birth during any period of time the woman is physically unable to work because of pregnancy or a pregnancy-related condition. All leave taken in connection with a specific pregnancy counts toward computing the four-month period. Pregnancy leave is available when a woman is actually disabled. This includes time off needed for prenatal care, severe morning sickness, doctor-ordered bed rest, childbirth, recovery from childbirth, or any related medical condition. If an employee is disabled as the result of a condition related to pregnancy, childbirth, or associated medical conditions and requests reasonable accommodation upon the advice of her health-care provider, an employer must provide reasonable accommodation. As an accommodation, and with the advice of her physician, an employee can request transfer to a less strenuous or hazardous position for the duration of her pregnancy. If you believe that your employer (or former employer) has wrongfully refused to grant you a pregnancy disability leave or retaliated against you for taking a needed pregnancy disability leave of absence, contact Henk Leonard for us to do a free evaluation of your situation to see if we can assist you in a claim against your employer.